Dogs are our best friends. They love to walk with us, play with us, cuddle with us and eat with us whether we like it or not. 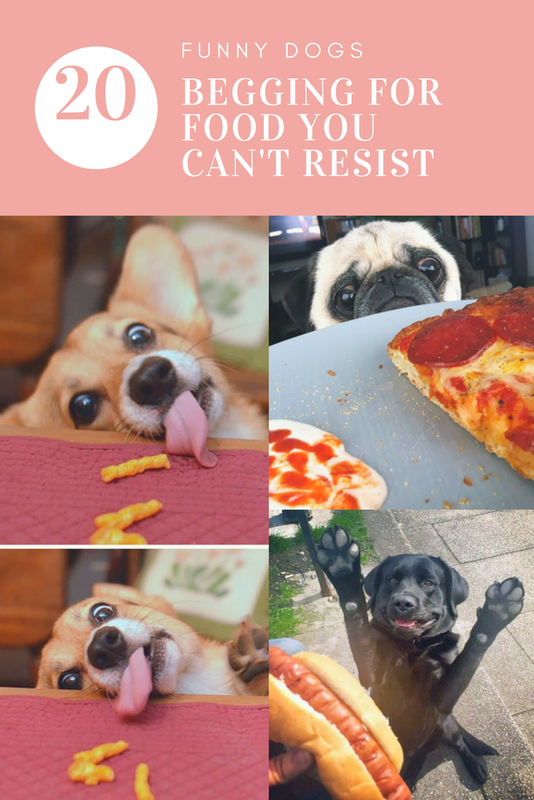 Dogs love food; there’s absolutely no denying that. If there is any food around, on the table or in your hand you can guarantee that a dog will be close by, ready and waiting patiently for any scraps going their way. Dogs have a way of getting what they want, and they have us humans wrapped around their little paws. You’d have to have a heart of stone to be able to say no to a begging dog. 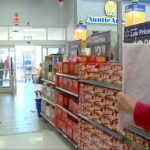 However, not all dogs are triumphant with their begging technique; that’s why we’ve rated each begging style out of five for its success rate. 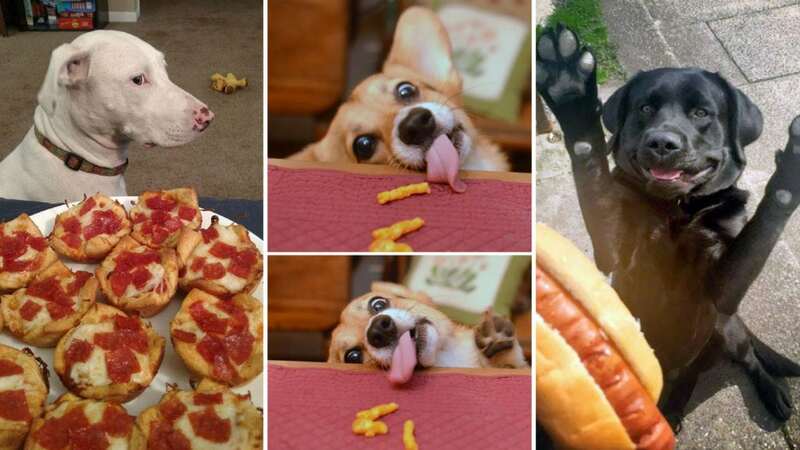 Check out this collection of funny begging dog photos. 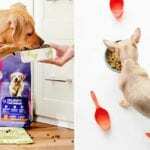 This dog tricks its owner into thinking they are playing a simple wrestling game, then sneakily goes for the bowl of food. This is certainly a clever distraction tactic with tasty results. 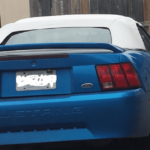 This owner won’t be making that mistake again. If I keep scratching, then the food will come to me, right? I can almost reach, keep scratching, never give up! 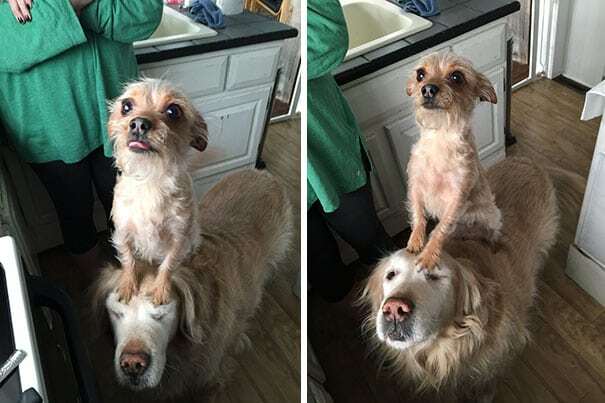 Begging dogs working together. 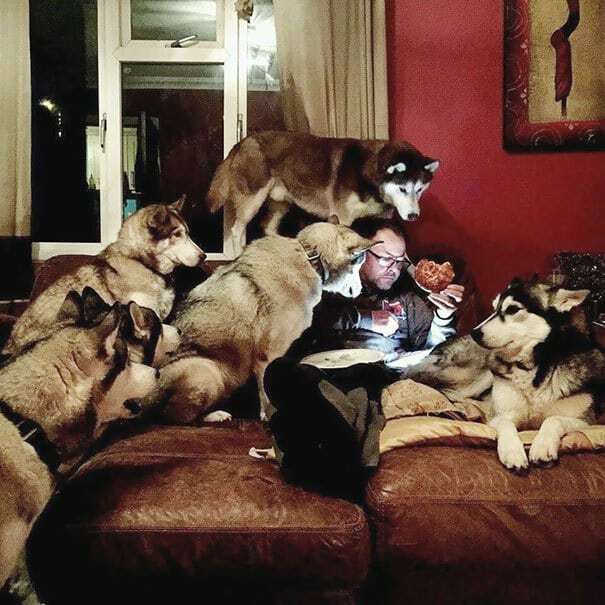 This pack of huskies isn’t actually watching the movie; they’ve only got their eyes on that tasty pizza. You have to applaud this pair for their creativity. The balance, the teamwork, their cute little faces. 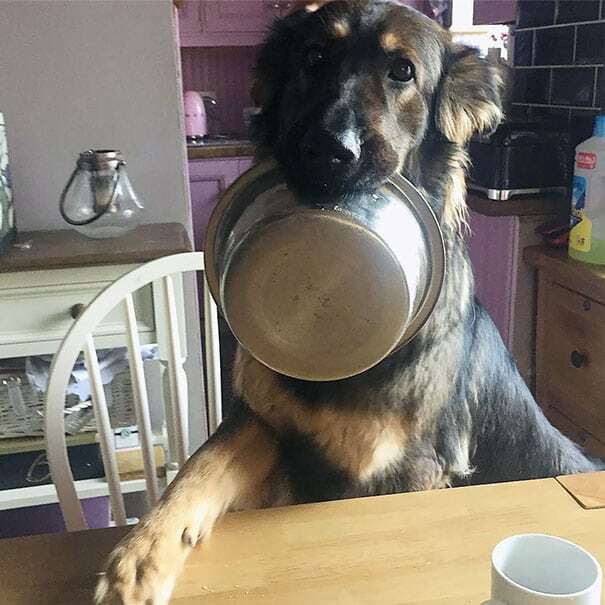 Give them the food already! 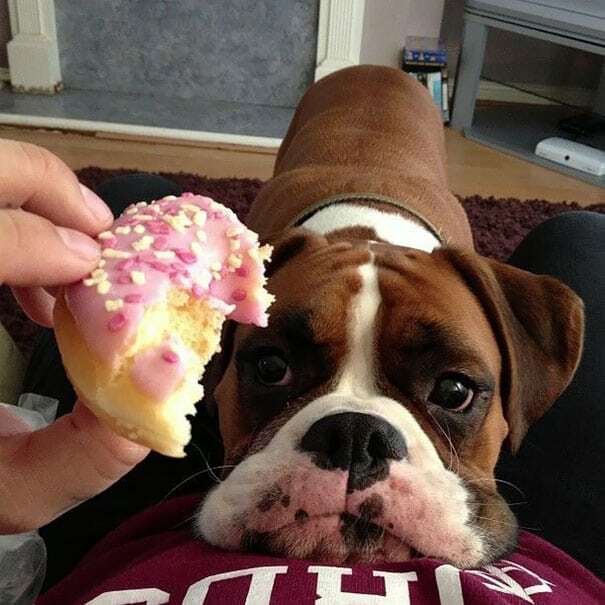 If I just keep staring at the doughnut, then surely I’ll get a bite! 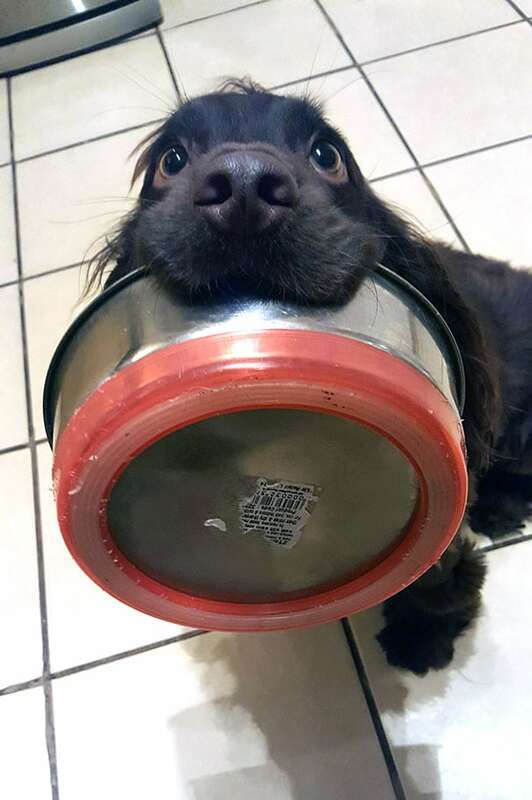 Come on, owner, how can you resist this adorable hungry face? 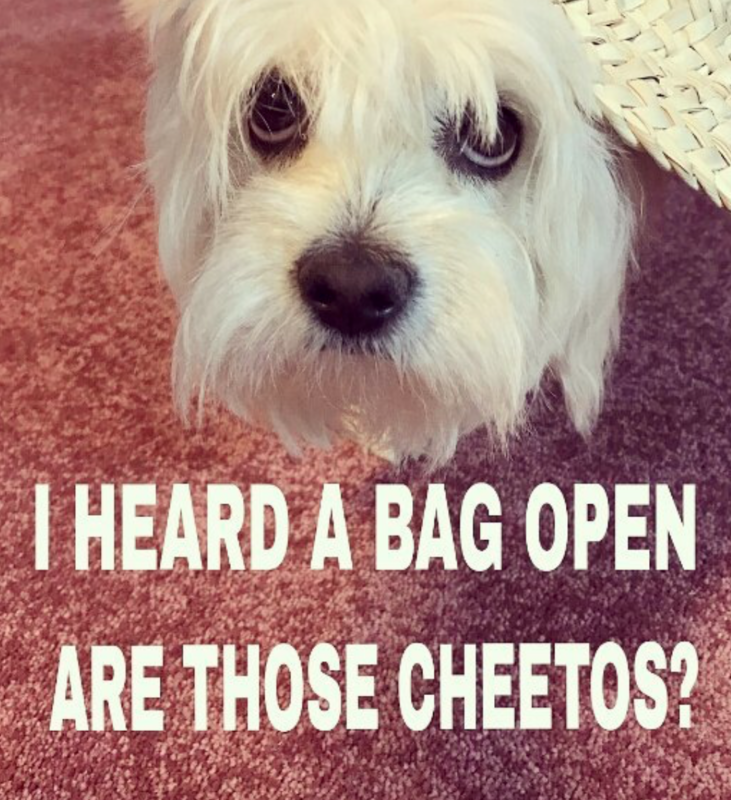 The rustling of the packet, the opening of the bag, the tasty smell of Cheetos in the air. Look into my big puppy dog eyes. Come on, please share! Who wants a hotdog? 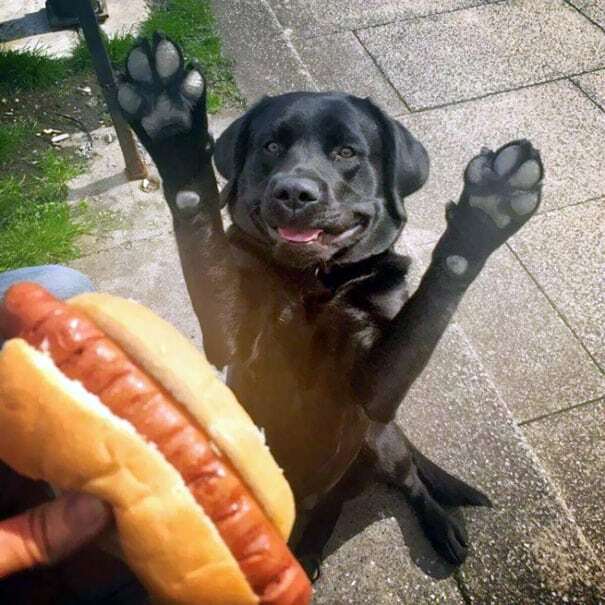 Oh me please, me, I’d love a hotdog! I’ve not just got one paw in the air, I’ve got two, I definitely want a hotdog. Peek-a-boo I see you, come to me, scrumptious pizza! 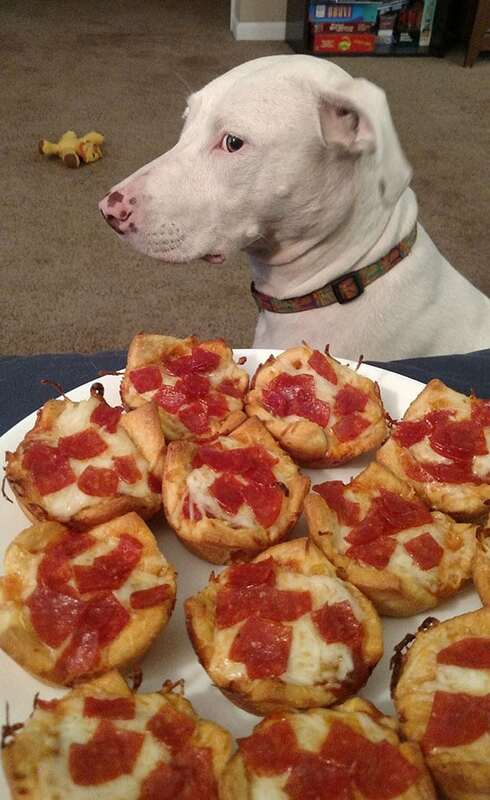 This little fellow is completely mesmerized by that pizza slice. 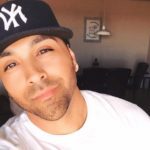 Look into my eyes. 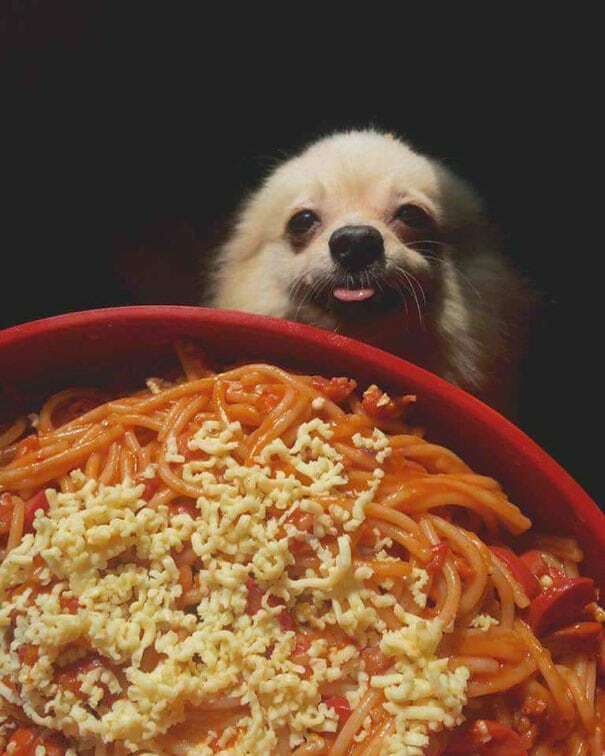 This dog looks like it is trying to hypnotize its owner into giving it some delicious spaghetti. 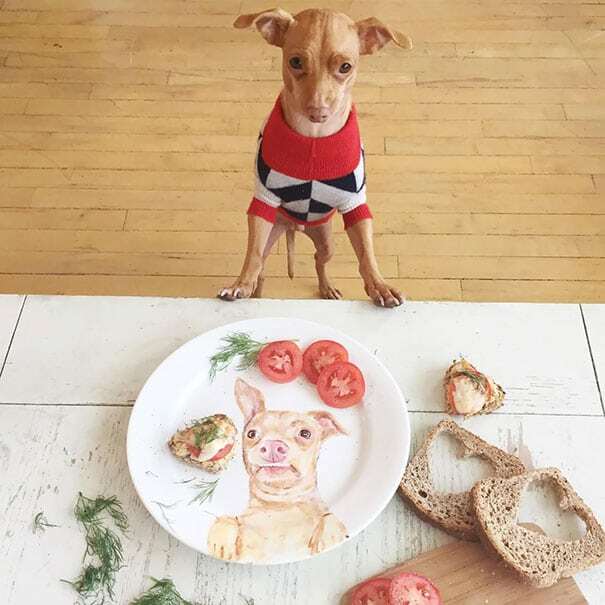 My Face Is On The Plate! 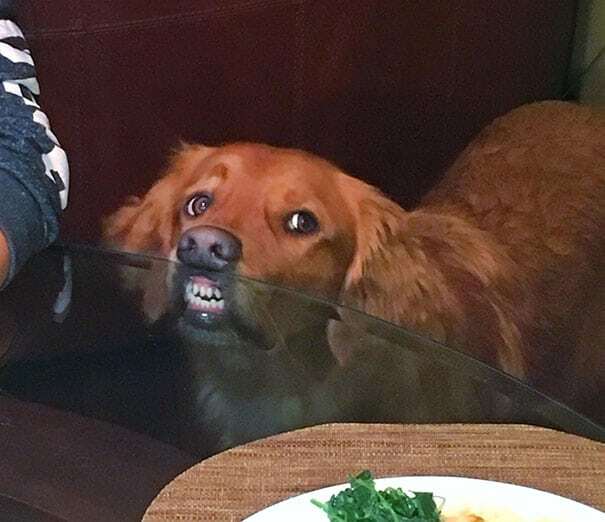 I mean, this dog’s face is literally printed on the plate. How could you say no? His face is on the merchandise! If I have a nonchalant approach and don’t look like I’m begging, then I’ll be in with a chance. I’m not begging, honest. A table isn’t going to stop this little guy begging for food. 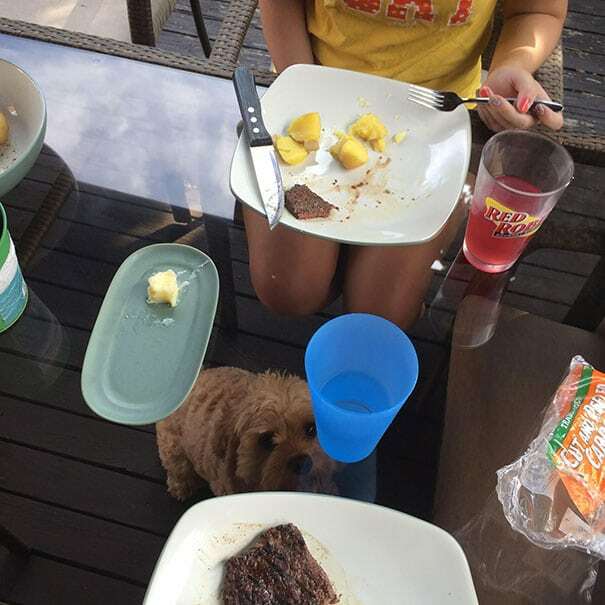 If there is food on the table, you can guarantee this dog will be there, always watching. 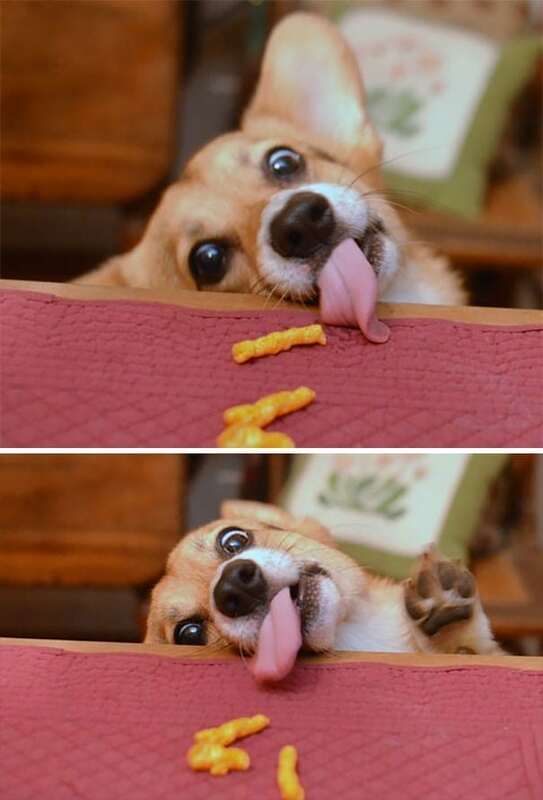 The sheer determination can be seen in this dog’s eyes. I’m almost there, just a little further… come on, tongue, stretch, STRETCH! 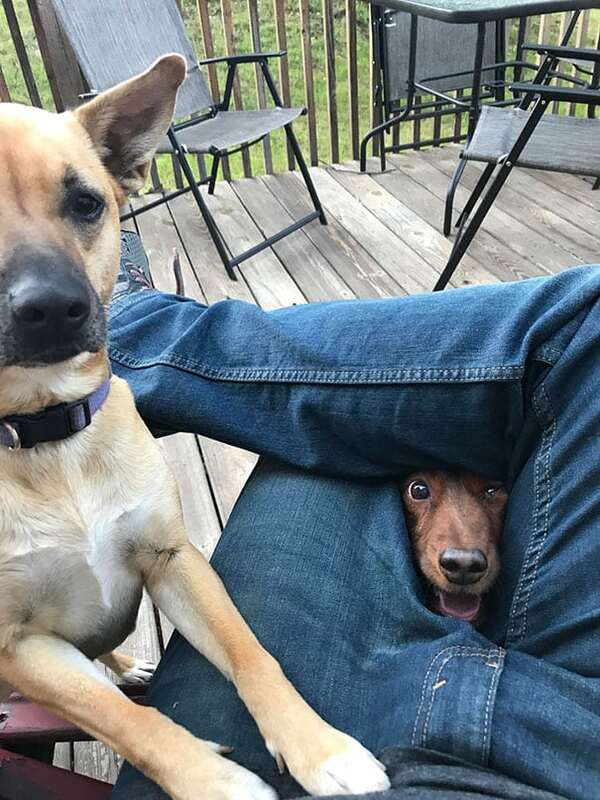 Look how cute I look between your legs! So cute. You should totally share that sandwich with me. Oh, and my friend, too, they are also hungry and cute. 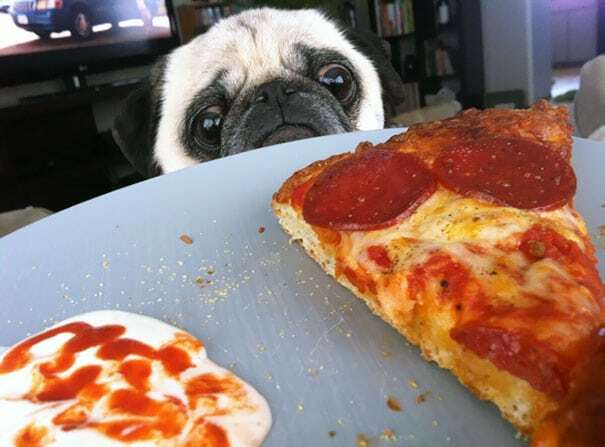 I want that food so bad but I will not show it. Be strong, you can do this, I will not beg. 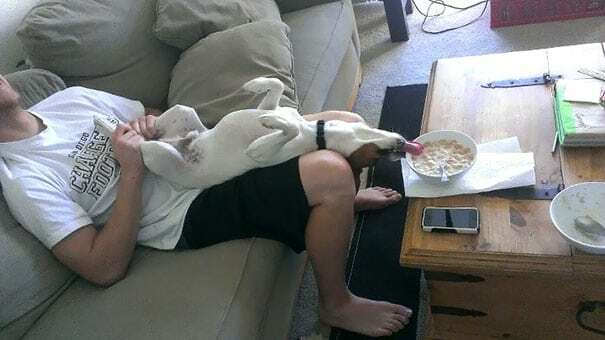 This dog may think it’s a hooman; it took a seat and brought its own bowl to the table. If we all beg together, then she’ll have to give us food. Come on, focus everyone, work as a team, we’ve practiced this. She’ll give in eventually and we will be victorious! Do you have room for a little one? Don’t mind me, I’m just going to squeeze right in here and then I’ll be part of the pizza party. Pass me a slice of pepperoni, please. Begging style: Room For a Little One? 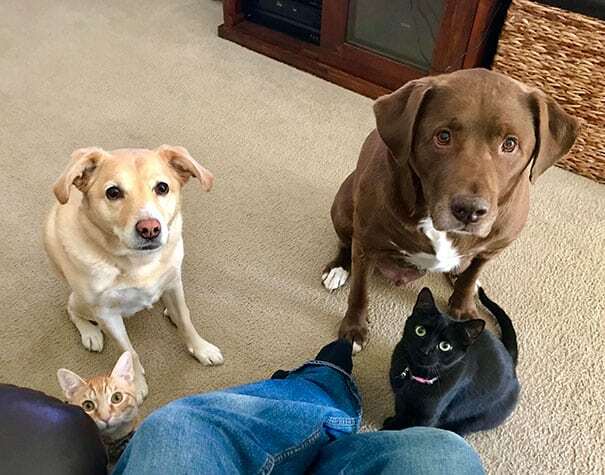 These begging dogs weren’t getting anywhere on their own, so they got the cats involved, too. All those eyes looking at you longingly, never looking away. How could you resist these four-legged friends all working together? Would you give these begging dogs your food? 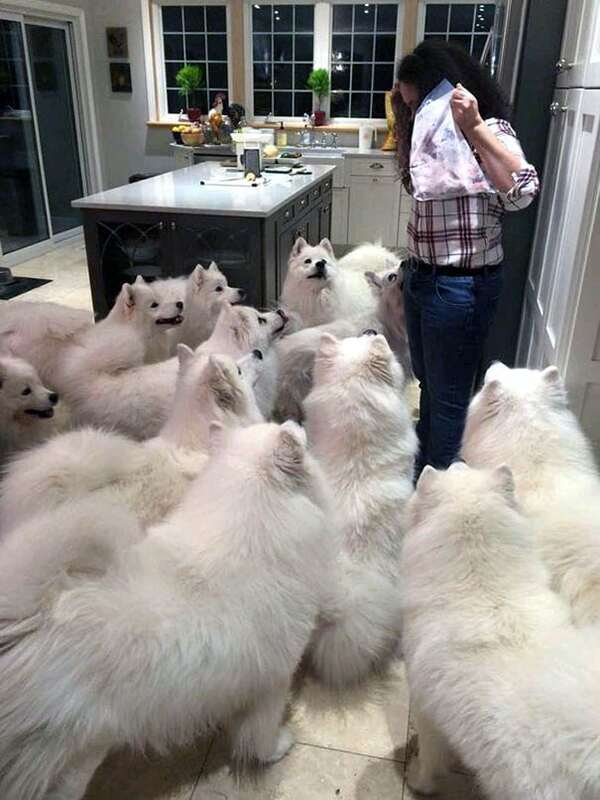 The best dogs beg! And they are all so cute! Click the next button to see more cute dogs!